Muncie- Patricia “Pat” A. Davis, 80, passed away early Thursday afternoon, January 10, 2019, at the Indiana University Health Ball Memorial Hospital following a brief illness. She was born on September 16, 1938 in Muncie, the daughter of Newell Eugene and Carol (Morris) Sanders. Pat attended Muncie City Schools and later married Chester Paul Bunton and he preceded her in death then she remarried Joseph Davis, Jr. and he also has preceded her in death. Mrs. Davis had worked for the Muncie Southside K-Mart and later for Magnatec as a Laborer retiring after approximately ten years of service. She is a former member of the Moose Lodge Auxiliary and the Eagles Lodge. Pat enjoyed playing bingo and doing crochet work. Most recently she was interested in online games. 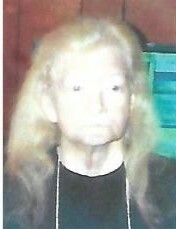 She is survived by two sons, Randy Bunton, (wife-Debra) Muncie and Robert Alan Bunton, Bedford; Five grandchildren; one sister, Carrie Keller(husband-Richard), Muncie: two brothers, Newell Sanders (wife-Zandra), Muncie and Donald Fluhr (wife- Joanna), Ft. Wayne; several nieces and nephews. She is preceded in death by one son, Chester Eugene Bunton; her parents; an infant brother and seven other siblings. Graveside services will be held on Saturday, January 26, 2019, 10:00 A.M. with Pastor John Helton officiating. Parson Mortuary is in charge of the arrangements.